Did you know the type of pizza we order is largely determined by how we order - whether we interact with a human on the phone or with a machine on the computer. This is just one of the examples of how our actions, speech and personal characteristics can provide insight into the types of decisions we will make in the future and the outcomes of those decisions. 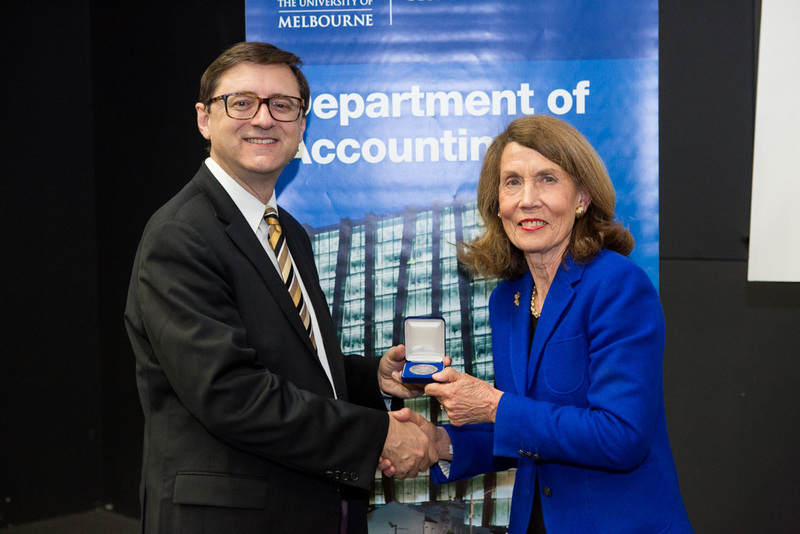 Speaking at the 77th CPA Australia University of Melbourne Lecture on Tuesday 18 October, Professor Dikolli, Associate Dean for Faculty Engagement at the Fuqua School of Business at Duke University, explained the implications of predictors and outcomes of decision making for companies. Dikolli explained that increases in capital market activities and future stock returns could, to a certain extent, be predicted by financial analyst participation in conference calls. Quoting an example from companies in which analysts were interested in participating in conference calls tended to perform better in the market than companies with lower levels of analyst interest in conference calls. In a similar way studies which investigate the relation between voice pitch and success in the labour market shed significant light on performance and outcomes. Dikolli referenced research by Mayew, Parsons, and Venkatachalam which indicates that male job candidates with lower voices tend to be more successful. This advantage is not limited to men. Another study by Anderson and Klofstad looked at a hypothetical school board election scenario. Both men and women preferred female candidates with lower voices. According to Dikolli personal characteristics such as optimism and integrity can predict behaviour. More optimistic people tend to work harder, expect to retire later, save more and invest more in individual stocks. However, extreme optimists are more likely to display less prudent financial habits and behaviour, according to research by Puri and Robinson. CEOs with lower levels of integrity are more likely to have unfavourable employee ratings, and prior to the enactment of the Sarbanes-Oxley Act (which increased accounting miss-statement penalties for executives), their companies were more likely to have poor accounting quality and, perhaps as a result of additional audit work to mitigate the CEO's low-integrity behaviour, pay higher fees to their auditors. Some of these indicators are fairly subtle and we may react to them sub-consciously. Further, not all of the indicators he discussed are in operation all of the time. However, taken together, Professor Dikolli's talk underscored the notion that there are a wide variety of indicators that we can use to gain insight into the types of decisions made within companies and the likely outcomes of those decisions. personality characteristics have broader impacts on behaviour than we typically realize.